One week following Hurricane Florence, we can still see a lot of devastating photos of the destruction that it brought across the Carolinas. 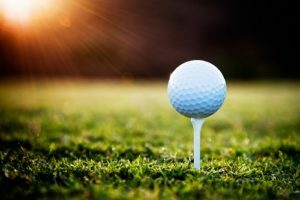 In Myrtle Beach, South Carolina, most of the golf courses as well as resorts have already reopened and started to prepare for October, which is the second busiest golf tourism month of the year for the region. The Grand Strand, which spans sixty miles from Brunswick County, North Carolina to Pawley’s Island South Carolina, was battered by the hurricane, however, the golf courses of the region managed to weather the storm. According to the Golf Tourism Solutions, which promotes the area, 70 area golf courses opened by September 21. However, five golf courses remained closed. One of them is Long Bay. The course was opened however, it remained inaccessible because the roads remained unpassable. Most hotels have also reopened but as expected, some remained close due to the storm damage. The CEO of Golf Tourism Solutions, Bill Golden, said they were excited to have golf players flock Myrtle Beach golf courses. He added that visitors can expect sunny skies as well as quality Myrtle Beach golf course conditions. Golden also said that the Myrtle Beach golf community was fortunate after what had happened. They look forward to the golf season this fall but their thoughts remained with those in North and South Carolina who really felt the effect of Hurricane Florence. Golden’s firm also reported that they still had to a lot of cleanup after the storm. But, the golf courses did not suffer major structural damages. Call Myrtle Beach Golf Directors now if you want to know more about Myrtle Beach golf packages. So you are all set for a good game of golf in Myrtle Beach. However, you are not a two handicap. Perhaps you do not even have any idea of your handicap. You cannot drive the ball for 325 yards and you even top one of your many iron shots every now and then. Does this imply that you are not allowed to play golf on the Grand Strand? The answer is no, of course. 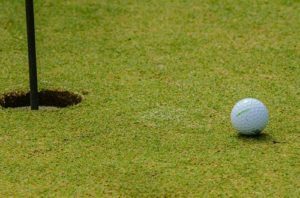 We all know that Myrtle Beach is home to some of the world’s best golf courses where the pros and aspiring professionals improve their game, but that does not mean that there are no golf courses for average players who are not that serious when it comes to playing the sport. There are golf players who want to go out and play, just because they want to enjoy a relaxing time outdoors. They may be able to get a few pars, and perhaps even a birdie. The remaining time is spent with friends and family. 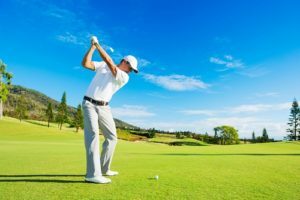 But where can you find the best golf courses in Myrtle Beach for players who are only looking for a fun and easy golfing experience? Provided below is a list of golf courses that are perfect for these kinds of golf players. Azalea Sands – it is one of the older golf courses in Myrtle Beach and only minimal changes were made throughout the years. This golf course is not the most difficult court but it provides relatively affordable rates. It is the perfect course for novice golf players. 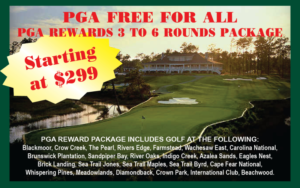 Crow Creek – in terms of quality, Crow Creek is a bit better than Azalea Sands. It is situated near Calabash, North Carolina and features a well maintained L-93 bentgrass golf course. Eagle’s Nest – It is a friendly golf course that is ideal for beginner golf players. As its name suggests, you will see lots of different kinds of birds flying above your drives. Possum Trot – this golf course, which is located in North Myrtle Beach, is the perfect spot for families that want to play a relaxing game of golf. 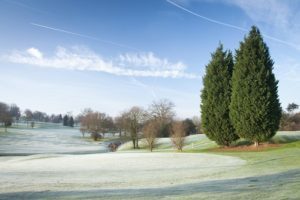 The holes are given fun names and if your group has a big hitter, he or she will delight in the golf course that is almost 7,000 yards. Myrtlewood Pine Hills – it is situated at the core of Myrtle Beach. This golf course does not have a lot of water, which means golf players will not lose several strokes to the drink. Blackmoor – this golf course, which is located in Murrells Inlet, comes with a Gary Player design. You need to consider things carefully especially when it comes to club selections. It is a short length which means nearly all players will have fun in this course. These are only a few of the golf courses in Myrtle Beach that are ideal for beginners like you. Call Myrtle Beach Golf Directors if you want to know more. Apart from citing the leaf principle, fall is by far the best season to play golf in Myrtle Beach, South Carolina. The accommodations are cheaper, the place is cooler, the children are back to school, and the hot tub found at the beach side condos are not full-packed with people. This has been confirmed one more time last week during what has become a yearly fall trip to the Grand Strand. When I arrived, the temperature during the day still reached the 80s. During the weekend, I started to feel the cold weather, which I consider as the best weather for golf. It almost never rains in the fall. In the morning, the temperature is at about in the 80 degrees and drops in the 50s in the evening. The weather condition is perfect. The only disadvantage of playing golf in the fall is that the days are far shorter. You should avoid Myrtle Beach golf courses after they overseed. Don’t forget to check the website of the golf course that you are interested in so you can get the schedule. There are about 100 golf courses in Myrtle Beach. But this place is not only a golf destination. In the summer season, families go to beaches, which leads to a dramatic increase in the accommodation costs and price of golf packages. You will also be impressed by the dining scene in the Myrtle Beach area. Even though Myrtle Beach has a blue collar track record, there is something for everyone, whether you want fine dining or just barbecue and pizza. In the past 20 years, a lot of people from different parts of the country moved into this place, which led to an influx of restaurants. A few great places worth visiting are Umberto’s Pittsburgh-Italian Trattoria, which is found in Barefoot Landing in North Myrtle Beach. Myrtle Beach is also a wonderful spot for people who love to eat seafood. In Murrells Inlet, you have the chance to get a taste of various local cuisines at Wahoo’ Fish House. Meanwhile, Barefoot Landing is home to the Flying Fish Public Market and Grill offers you fresh fish. If you want barbecue, go to Sticky Fingers Rib House, which is located close to the airport. Apart from the ribs as well as other conventional Carolina BBQ, Sticky Fingers is also famous for its smoked, slow cooked, and Texas style beef brisket. For breakfast places, you should go to Grisson Parkway in Myrtle Beach and look for Croissants Bistro & Bakery, which is known for their delicious Crab Cake Eggs Benedict. There is also something for everyone when considering the golf courses in Myrtle Beach. If you are looking for a great golf package for upcoming Myrtle Beach golf trip, call Myrtle Beach Golf Directors now. We spend several hours on a golf course under the heat of the sun because we love the sport or perhaps we just want to be punishment. Who knows? There is one thing that we do know and that is the fact that summer golf in Myrtle Beach is comparable to an extreme sport. It is exhilarating. However, you need to prepare yourself. 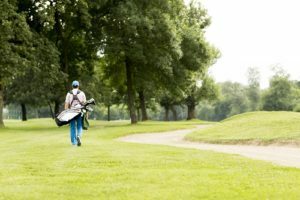 Myrtle Beach Golf Directors offer some tips for golfing during the summer heat that only a Myrtle Beach golf course can offer. We are not just referring to beers. A lot of golfers like the occasional beer on the front 9 and back 9. However, keep in mind that alcohol will dehydrate your body. Drinking beer is counterproductive for you whenever you are playing golf especially during a hot summer’s day. Make sure that you purchase plenty of water on the golf clubhouse or snack stand before you proceed. Playing golf during the summer heat can dehydrate you and that is why it is suggested that you drink enough amount of water. How much water do you need to drink? Take your body weight in pounds, divide it by two, and that is the amount of water you need to take. You should also be familiar with the common signs of dehydration. These include fatigue, dry mouth, dry skin, dizziness, and headache. One of the most important recommendations when playing golf this summer is to remember that drinking sports drink is okay. However, the most effective way to rehydrate on the golf course in Myrtle Beach is to drink cold water. Never rely solely on sugary drinks. Nobody wants to appear like a crisp duck after playing a round of golf during a hot summers day. So, don’t forget to put on some sunscreen before you go on the golf course. This is, of course, one of the most obvious and simplest tips when golfing during summer. But despite that, many golfers tend to forget to do it. Always have a tube of sunscreen in your golf bag or car so you won’t forget. Summer golf trips in Myrtle Beach require at least SPF 30. Don’t forget to apply sunscreen on your nose as well as the back of your neck. These are some of the places where the sun can cause the most damage. Even if you are playing golf on a hot summer day, there are still ways for you to look good. The dress codes of golf courses in Myrtle Beach are usually accommodating towards the golf players as well as the weather conditions. The best options are usually loose fitting codes as well as breathable fabrics. Whether you paid for tee times only for one day or a summer golf package, you should get the rest you need. Get some shade if necessary, even when the other players are teeing off. In case you have to let a different group play through, then, by all means, do it. Don’t be ashamed of getting a little rest so you can enjoy playing the game as much as you can. If you are looking for a golf course in Myrtle Beach or a golf package, call Myrtle Beach Golf Directors now.